This whole damn post is stupid. I've noticed that you tend to report, and threaten people if they don't give you your way. Something a 5 year old would do. Volunteer Firefighter - Goose Creek Rural Fire Dept. Forget all the reasons why it won’t work and believe the one reason why it will. Let no man's ghost return to say his training let him down. This is merely me asking everyone to be held to the same standard i’m being held at. It's blatantly said in the post that he isn't doing this to be unbanned. He's doing it to show everyone that this was bias on the staff's part. In my opinion, if Sal gets banned for words, and staff wants to avoid the question of whether or not it's applicable to all HM players, he's got more than the right to make a reasonable and compelling case against Ashlynn_rose for saying something that could be taken as an intent. At least, that's what the staff have led me to gather. So if Ashlynn_rose doesn't get some form of punishment, then cmvo's punishment is only right to be reversed, otherwise it's obvious bias against him. 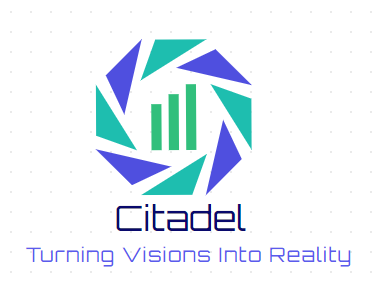 CEO and Co-Founder of Citadel Infrastructure Co.
"The sky's not the limit when there are footprints on the moon"
I might be completely off with this, but why does this even need a mute? Mutes were only ever needed when players were being problematic in chat back when I was mod. If he's just made a piece of paper, then that could possibly warrant a warning, except for the fact that the piece of paper said something that was completely harmless and in no way a breach of the rules. Am I missing something? Some guy who built the big cruise ship next to Sudbury. Almost owned a whole government city at one point. Location: York, N. Yorkshire, U.K. Nothing at all. The mods have gotten a bit.."Strict", to put into terms. But there's moderation, and then there's abuse of power. And I feel like we're starting to cross the line. Zac you weren't muted for the paper that says I love Spartan, it was a combination of literally everyone in chat spamming [ I ] with those papers, especially you, and the inappropriate ones that read "heil head admin spartan" ...also I gave plenty of warnings to stop before I muted anyone, care to show any of that? We like to keep the chat as nice and clean as possible. For that reason it is not allowed to insult other people, troll ceaselessly, swear excessively, or spam chat. except thats not how it works? Jee mods, all he is saying is ban and mute everyone that makes a joke, I mean if it’s for this, there will be lines for muted and bans.